Work on the plan started in late 2008 with public meetings and consultations followed by the distribution of questionnaires to 3,851 households and 400 businesses in the parish. 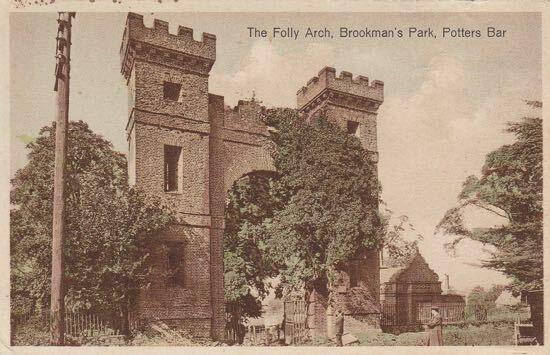 Once the forms were returned, groups of volunteers made up of local residents analysed and interpreted the data received. Action groups were formed with responsibility for taking on specific areas of concern. They held meetings to discuss how the findings could be put into action. They set goals in order to implement the findings, such as the housing goals set out below. In November 2011 the North Mymms Parish Plan was published. At the time the local newspaper, the Welwyn Hatfield Times, covered the news with the headline “New plan for the future of North Mymms Parish”, adding that “a blueprint for the future of North Mymms Parish has been unveiled”. 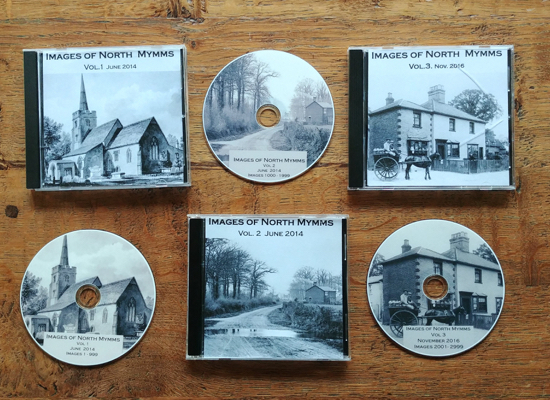 The North Mymms Parish Plan was hailed by the authors as “a powerful tool to influence decisions by other authorities such as the Borough and County Councils”. “It can be a focus to enable the villages in our parish to work together”, they wrote. Those behind the North Mymms Parish Plan were keen to remind local residents that the aims contained in the 36-page document were drawn up as a result of local public demand. Local residents were informed that, “This is your vision for how you wish to see North Mymms evolve over the coming years”. Working groups were set up to cover a wide range of areas including development and planning, the environment, leisure activities, local services, transport, and facilities for the under 18s. A Parish Plan Steering Group Committee was formed to oversee the actions carried out by the working groups, and the whole initiative was sponsored by NMPC which would be available “to provide support and advice”. Apart from the volunteers involved in organising and creating the plan, more were sought to tackle issues identified in the questionnaire such as the following, (the wording is taken from the North Mymms Parish Plan). Many other projects both small and large. 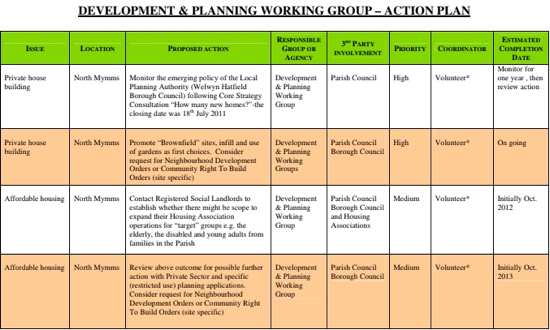 Two questionnaires were prepared for the information-gathering part of the North Mymms Parish Plan process. One was sent to households and businesses. Another questionnaire was aimed at the needs of the under-18s in the parish. Both embedded documents courtesy of the Peter Miller Collection. In January 2019 the NMHP asked NMPC about the status of the parish plan. The team behind this site felt it was an important part of local history that should be preserved on these pages. The question was put to the full council meeting in February 2019 where councillors confirmed that the plan is no longer active. NMPC responded with the following. According to the minutes from the February parish council meeting minutes, councillors were informed that “Neighbourhood Plans were bought in just after the publication of North Mymms Parish Plan and superseded the Parish Plans” but that “there were no interested parties willing to take the new initiative forward”. A neighbourhood plan would have been a more extensive undertaking and would have had some statutory power to influence the planning process, whereas the North Mymms Parish Plan did not. In January 2014, Jeff Lewis from Smallford, who was at the time facilitating the development of the Colney Heath Neighbourhood Plan, made a presentation to NMPC about the benefits of neighbourhood plans and how they could be undertaken. Jeff says he was passionate about neighbourhood plans because he saw them as a “potentially truly democratic processes”. “I facilitated the development of two parish neighbourhood plans and was proud that, especially in the early stages, more than 100 residents were actively involved with one and more than 50 with the other. “Neighbourhood plans demand a deep commitment from the parish council as well as enthusiastic, interested and dedicated residents: the process is long, rigorous and time-consuming – but, with some passion and commitment, well-worth all of this. 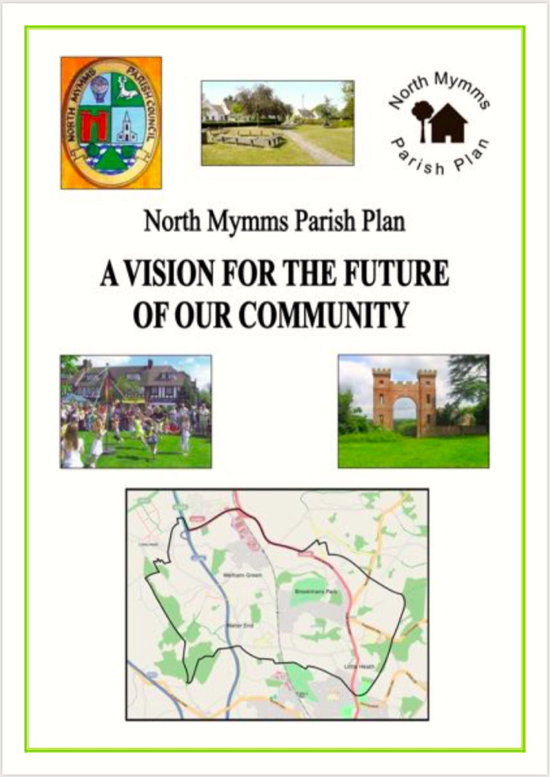 You can access, download and print the North Mymms Parish Plan which is embedded below.